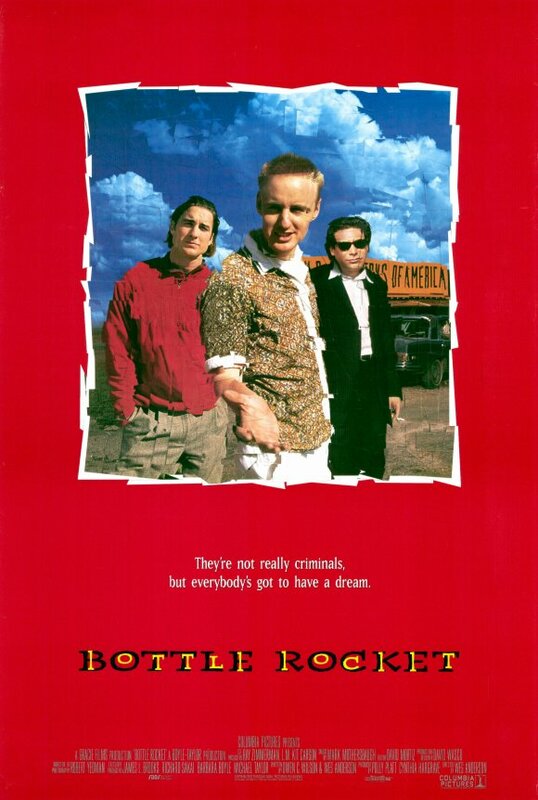 I’ve seen Wes Anderson’s first film, BOTTLE ROCKET, more times than I can count. Like his other films co-written with Owen Wilson, RUSHMORE and THE ROYAL TENENBAUMS, it has a whimsical screwball energy throughout that I find irresistible. Yes, it may lack the dollhouse feeling with which he’s come to be so known (though certainly, his OCD and his symmetry fetish are here in full effect) but it has the same earnest innocence, the same respect for its characters, and the same underlying feeling of melancholy that make his best works so unique. And of course, his ear for music is as eclectic as ever, employing a beautiful score from Mark Mothersbaugh, his signature Stones needle-drops, and even the theme from the 1970s spaghetti western take on “Zorro”. Brothers Luke and Owen Wilson play two of three twenty-somethings – who Anderson has, in a conceit that plays far better than it sounds, behave like they’re 8-years old – on a largely imagined crime spree, planning and pulling off their own high-concept heists. Though that’s likely overstating the case – the film plays more like “Charlie Brown” than BONNIE AND CLYDE. This movie must have hit people like a bullet upon release in 1996. The American independent scene was run amuck with Tarantino fever; and Anderson’s lightly melancholic tale seems to almost satirize the overwrought ‘crime spree on the run’ genre. While all those movies had their eyes on the bullets, the gunfights, and the pop culture nods; Anderson turns his towards nothing less than his characters souls. Check back tomorrow morning for our weekly Review Roundup! 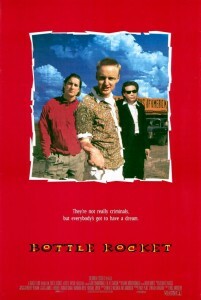 BOTTLE ROCKET shows Thursday, 5/31 at 5:30. MOONRISE KINGDOM plays at 8:00 in a free preview screening open to the public, co-presented by the Independent Film Festival Boston. Doors open at 7:00, and it is first-come, first-serve. The Brattle Theatre, 40 Brattle Street, Cambridge MA, 02138.